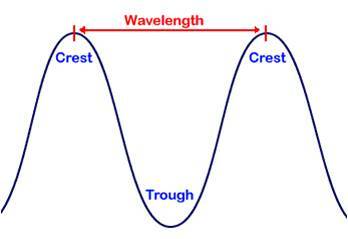 Typically, Multi-Mode fiber is used when the distance data must travel is 2km or less. Single-Mode fiber has the capability to transmit data up to 100+km. Much like sending Ethernet signals over copper cabling, the amount of data you need to transmit is a key piece to identify. When speaking of copper Ethernet, a 10/100/1000 (Gigabit) connection means that any connection initiated in either 10 megabits per second (Mbit/s), or up to 100 Mbit/s will be supported. The same basic logic applies with fiber-optics. However, when working with fiber-optics the bandwidth is not “backwards” compatible. For example, a 1000BASE (Gigabit) fiber connection will NOT support a 100BASE fiber connection. While you can run less than 1000 Mbit/s through a 1000BASE fiber connection, the connection must be initiated in 1000BASE (Gigabit) communication on both sides. How will I connect the fiber on both sides of the cable? With the big questions answered we can now move further out towards the connections on each end. This is the area in which Comtrol specializes, connecting end devices to fiber-optic data transmission. Second, moving beyond the physical connector type we must consider fixed optics or SFP modules. Built-in fiber ports, commonly known as fixed optics, are just that – built in to the fiber device and unable to change. Comtrol’s ES8108F, for example, has fixed optics. After selecting the ES8108F, you have the option to select Single-Mode or Multi-Mode fiber, which look identical but have different fiber capabilities. Modular fiber ports, commonly achieved through the use of Small Form-factor Pluggable (SFP) modules, allow the fiber connection on a device to be decided based on the SFP model used not the model of the base switch used. 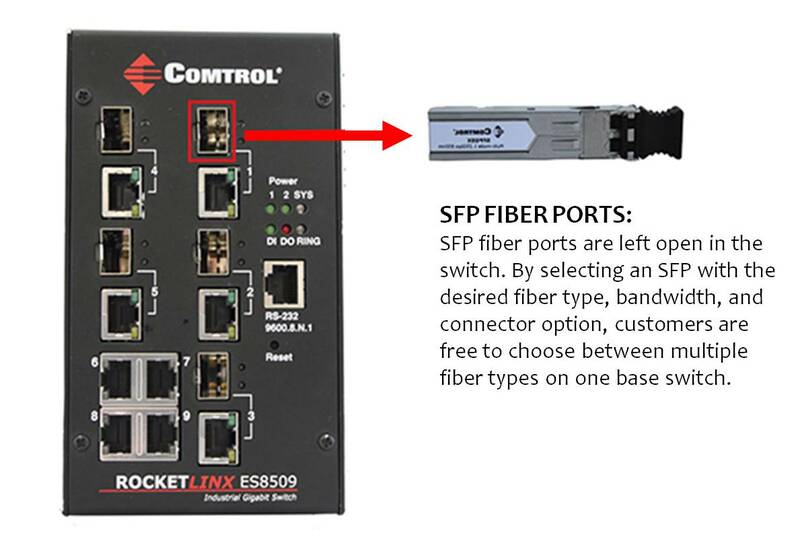 SFP modules allow you to select the type of fiber communication, bandwidth of connection, and connector type outside of the switch. 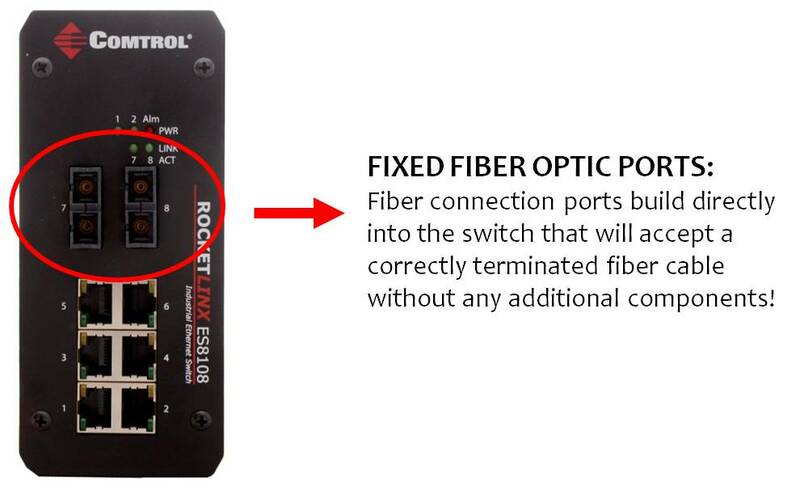 Ethernet switches, such as the Comtrol RocketLinx® ES85XX series, require an additional piece of hardware, the SFP, to enable fiber connections. This additional piece of hardware, however, allows much greater flexibility. No longer is the type of fiber connection limited to your switch selection but rather it can be switched around dependent on your specific system needs as they change! All things considered, fiber is a powerful media to connect Ethernet devices together. By utilizing fiber in a long distance connection, high interference area, or critical area of communication you can be sure of one thing: The data you send will be clear as glass on the other end! Contact your Comtrol sales representative to learn about our growing fiber-optic connectivity options and learn how it may benefit your system today and long into the future!